BACKGROUND: Aorto-arterial thrombosis is very often associated with atherosclerotic and/or aneurysmal changes. 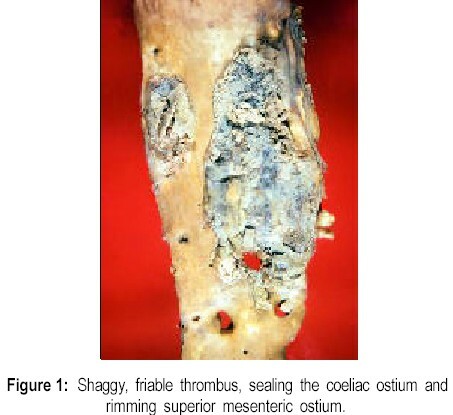 Thrombosis, unrelated to these changes is infrequent. AIMS: To evaluate the clinical presentation and aetiopathogenesis of aorto-arterial thrombosis, unrelated to atherosclerosis and aneurysms. SUBJECTS AND METHODS: A retrospective study of 30 autopsied cases of non-atherosclerotic and non-aneurysmal aorto-arterial thrombosis collected over a period of 14 years was carried out. 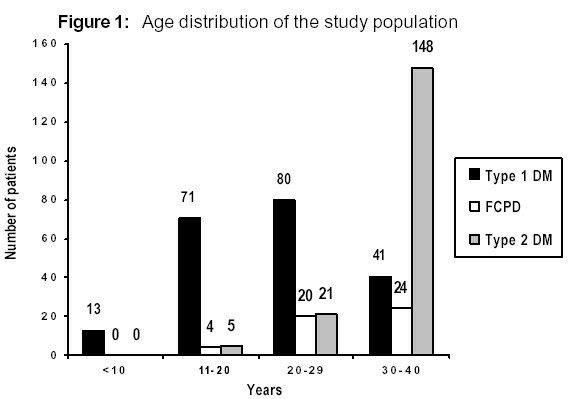 RESULTS: There were 23 males and seven females and majority presented in the third to fourth decades of life with clinical features of acute abdomen or lower limb gangrene. 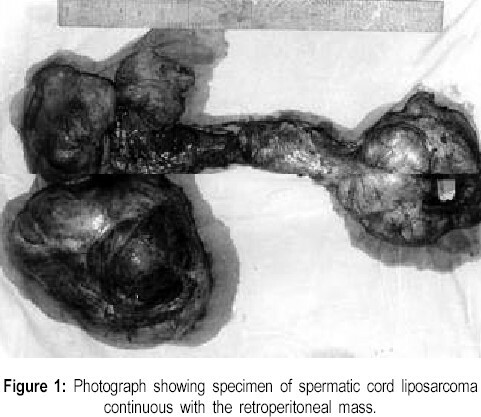 Abdominal aorta as the site of thrombosis was observed in 46.5% cases. The causes were attributed to hypercoagulable states and changes in the aortic wall. No aetiology could be identified in 5 patients (16.6%. Associated tuberculosis was seen in six cases. CONCLUSIONS: Non-atherosclerotic aortic thrombosis is a heterogeneous group of disorders. Young and even elderly patients with symptoms related to abdominal ischaemia or peripheral vascular disease should be investigated thoroughly for hypercoagulable states and aortic pathology. AIM: To study the changing trend in the delivery of transverse lie, and its effect on neonatal outcome, in a developing country. SUBJECTS AND METHOD: This is a retrospective study involving records of 12 years of all patients with transverse lie. Neonatal outcome of births by internal podalic version (IPV) and lower segment caesarean section (LSCS) were compared. RESULTS: In the first six years, 37.3% of transverse lie underwent IPV and 62.7%, LSCS. In the next six years, 15.8% underwent IPV and 84.2%, LSCS. 87.7% and 12.3% of live babies were delivered by LSCS and IPV respectively. 52% of the live born IPV were discharged compared to 95% of LSCS babies. Neonatal outcome was best when IPV was performed on second twin. CONCLUSION: IPV has a role in the delivery of second twin, pre-viable and dead babies. CONTEXT: Parental anxiety and apprehension is related to inadequate knowledge of fever and febrile convulsion. AIMS: To study the knowledge, attitude, and practices of the parents of children with febrile convulsions. 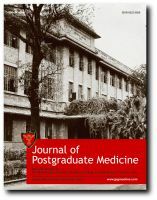 SETTINGS AND DESIGN: Prospective questionnaire based study in a tertiary care centre carried over a period of one year. SUBJECTS AND METHODS: 140 parents of consecutive children presenting with febrile convulsion were enrolled. STATISTICAL ANALYSIS USED: Chi-square test. RESULTS: 83 parents (59.3%) could not recognise the convulsion; 90.7% (127) did not carry out any intervention prior to getting the child to the hospital. 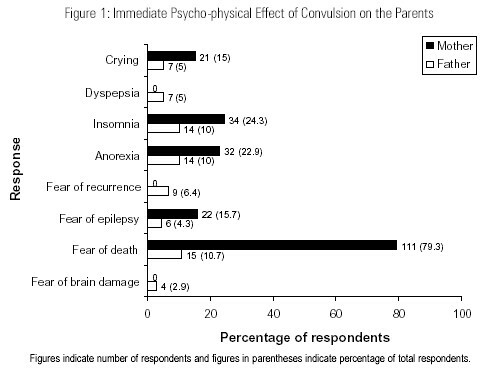 The commonest immediate effect of the convulsion on the parents was fear of death (n= 126, 90%) followed by insomnia (n= 48, 34.3%), anorexia (n= 46, 32.9%), crying (n= 28, 20%) and fear of epilepsy (n= 28, 20%). Fear of brain damage, fear of recurrence and dyspepsia were voiced by the fathers alone (n= 20, cumulative incidence 14.3%). 109 (77.9%) parents did not know the fact that the convulsion can occur due to fever. The long-term concerns included fear of epilepsy (n= 64, 45.7%) and future recurrence (n= 27, 19.3%) in the affected child. For 56 (40%) of the parents every subsequent episode of fever was like a nightmare. Only 21 parents (15%) had thermometer at home and 28 (20%) knew the normal range of body temperature. Correct preventive measures were known only to 41 (29.2%). Awareness of febrile convulsion and the preventive measures was higher in socio-economic grade (P< 0.05). CONCLUSIONS: The parental fear of fever and febrile convulsion is a major problem with serious negative consequences affecting daily familial life. BACKGROUND: We have noticed a recent rise in the incidence and severity of acute renal failure (ARF) in malaria. AIM: To study the incidence, severity and outcome of ARF in malaria. SETTING and DESIGN: It is a retrospective analysis of data of one year from a tertiary medical centre in a metropolitan city. MATERIALS AND METHODS: Patients with ARF and smear positive malaria were evaluated. STATISTICAL ANALYSIS: Results were expressed as mean, range and standard deviation. RESULTS: Out of 402 detected smear positive malaria, 24 had ARF. Eighteen were of the age group 21-40 years. Plasmodium falciparum (PF) was detected in 16, Plasmodium vivax in three, and mixed infection in five. Non-oliguric ARF was seen in 14. Eighteen showed severe ARF (Serum creatinine >5 mg%). Twenty-two patients needed dialysis. Prolonged ARF lasting for 2-6 weeks was seen in eight. Seventeen patients recovered completely, while seven showed fatal combination of disseminated intravascular coagulation (DIC), acute respiratory distress syndrome (ARDS), severe ARF and PF malaria. No response was seen to chloroquine and artesunate given alone and twenty patients required quinine. CONCLUSION: ARF necessitating dialysis was seen in 92% of patients with ARF in malaria. PF infection, severe ARF, DIC and ARDS were poor prognostic factors. Resistance was noted to both chloroquine and artesunate. BACKGROUND: Type 2 diabetes mellitus (DM) in youth is emerging as a serious clinical entity and its incidence has increased over the years. AIM: To analyse the causes of DM in the age group of <40 years of age. SETTINGS AND DESIGN: Tertiary care centre; retrospective analysis of data from January 1990 to December 1999. SUBJECTS AND MATERIAL: Analysis of data of all the subjects of DM in whom disease started before the 40th birthday. RESULTS: 724 subjects were detected to have diabetes mellitus before their 40th birthday. Of these, 205 had Type 1, 174 had Type 2 and 48 had fibrocalculous pancreatic diabetes. Males outnumbered in Type 1 and fibrocalculous pancreatic diabetes while as females in Type 2 diabetes mellitus. Chronic complications were more common in Type 2 diabetes mellitus. CONCLUSION: Type 2 diabetes mellitus is becoming an important cause of diabetes in subjects with onset of disease at younger age. Patients with human immunodeficiency virus (HIV) infection are prone to develop pulmonary infections like nocardiosis. It is often misdiagnosed as pulmonary tuberculosis since the manifestations are similar. A twenty-seven years old male presented with fever, cough with expectoration and weight loss for two months. 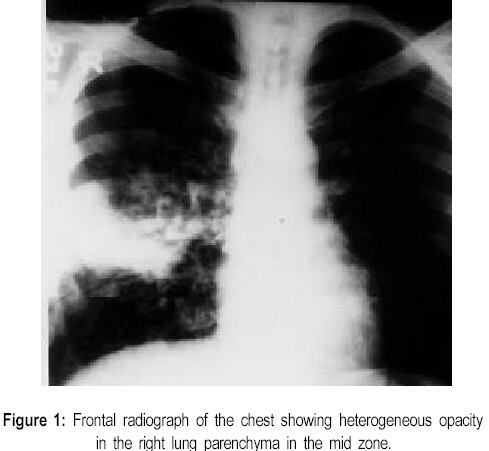 Chest radiograph showed opacity in the right mid zones. Sputum smears were negative for acid fast bacilli (AFB) and revealed gram positive branching filamentous organisms resembling Nocardia species. Subsequently, Nocardia was grown on sputum culture. HIV antibody was positive by ELISA test. He was treated with co-trimoxazole. If sputum is repeatedly tested negative for AFB in the setting of radiological suspicion of tuberculosis, testing for Nocardia species should be considered in the HIV-infected patients. Vaginal arteriovenous malformations are rare entities and their most common presentation is vaginal haemorrhage. This case report describes a 22-year-old woman who presented at 20 weeks of gestation with slow growing soft and tender swelling at anterior vaginal wall. 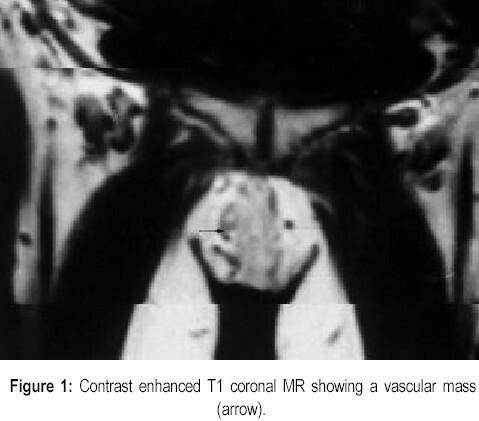 Diagnosis was confirmed as vaginal vascular malformation on contrast enhanced magnetic resonance imaging. 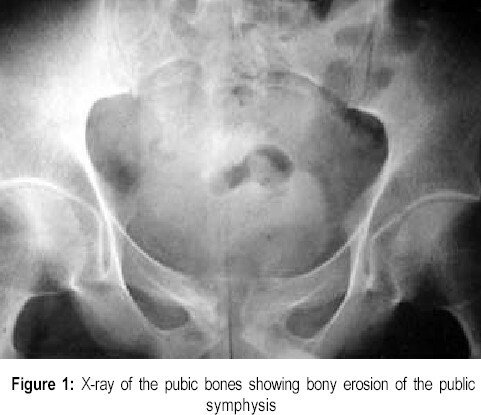 The mass did not subside after delivery and patient developed dyspareunia. It was successfully treated by angioembolisation using polyvinyl alcohol particles. Angioembolisation being safe and effective should be the treatment of first choice for symptomatic vaginal vascular malformation. Leptospirosis is an uncommon zoonosis. 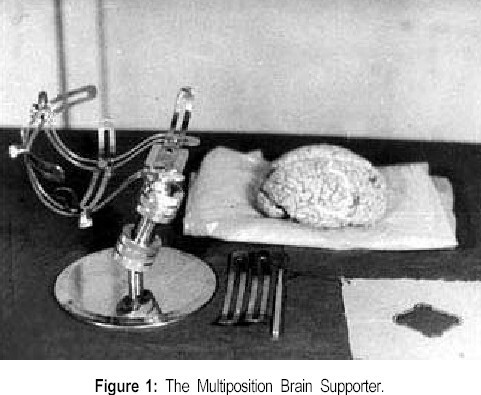 As a systemic disease, it presents itself by multisystem involvement. Pulmonary involvement with leptospirosis often is manifested by respiratory symptoms; but pneumonia commonly is not a prominent clinical manifestation of the illness. We report a case of leptospiral pneumonia in which pulmonary manifestations were primary clinical features of the illness. The prompt resolution of chest x-ray on institution of treatment is noteworthy. A ten-year-old male child presented with a large hepatic hydatid cyst which ruptured into the sub-diaphragmatic space and pericardial cavity, giving rise to a pericardial effusion. This communication between the hydatid cyst and the pericardium was documented on computerised tomographic scan of the chest and abdomen. The cyst was aspirated carefully and then enucleated. 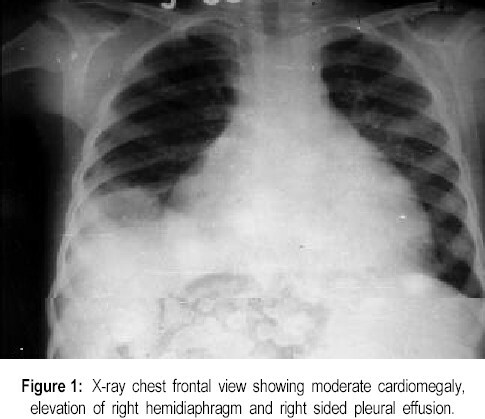 There was an associated right-sided reactionary pleural effusion. The pericardial effusion and pleural effusion resolved on albendazole therapy and did not require surgical intervention. Panic Disorder and agoraphobia offer considerable diagnostic and management challenges, particularly in general practice. We describe a typical case of panic disorder in a young adult. The recent advances in our understanding of brain functions can be used to explain to a certain extent the biologic basis of panic disorder. 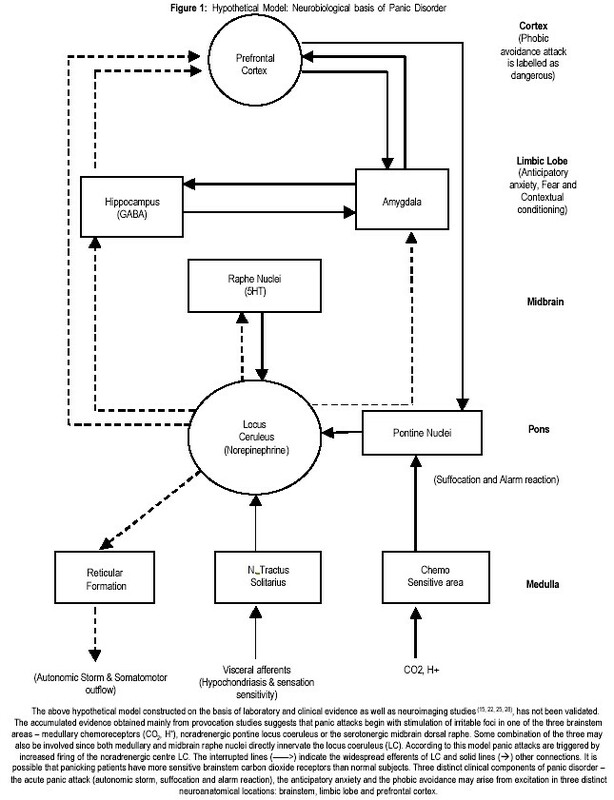 A hypothetical model integrating current views on panic disorder and agoraphobia has been proposed. The management principles including the role of cognitive therapy and pharmacotherapy have been discussed. With the developments in cancer treatment, more and more patients are surviving their disease. However, very little emphasis is being placed to rehabilitate these cancer survivors. Ignorance, social structure, stigma attached in seeking psychological help, and poor communication skills of oncology staff all contribute to poor rehabilitative efforts. The priority of governmental agencies and health efforts to fight rampant communicable diseases, malnutrition, maternal health, and the frequent natural calamities, puts rehabilitation movements in the back seat. Treatment and prevention of disability and its rehabilitation requires comprehensive and multidisciplinary approach. There is an urgent need to promote physical and psychological rehabilitation.